With the big broadband suppliers beating their chests and talking about Fibre and Cable it can be confusing to the non-techie (and that’s most people). The TV ads may have clever graphics showing the information highway racing to your computer and promising lots of ‘megs per minute’ in download and upload times, but how does it really work? ADSL – using the phone cable and what most supplier use to supply your internet access. VDSL – also known as FTTC and branded by BT as BTInfinity; using a combination of fibre optic cable and phone cable. ADSL uses copper wire to carry the signal from the exchange all the way to your home or office (copper loop). The further away you are from the exchange the slower your service is likely to be, which is why remote locations often have poor broadband connections. VDSL has fibre optic cable taking the signal from the exchange to the cabinet (the green box down the road), which speeds things up a lot, effectively reducing the distance that your signal has to travel by copper loop. This will dramatically improve your download and upload times. Cable services use a version of fibre optic cable to the cabinet and the same kind of coax cable as your TV signal to deliver your broadband from the cabinet to your premises. 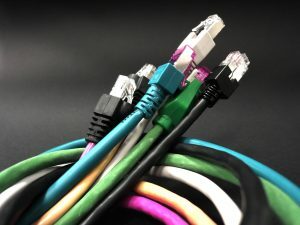 If you depend on fast connections and are downloading large files you’ll find that VDSL or Cable connections are going to make life a lot easier. The choice is down to availability (cable isn’t everywhere) and personal preference.